​Freedom Leaf, Inc., The Marijuana Legalization Company®, is a group of diversified, international, vertically-integrated hemp businesses concentrating on health, wellness, and education as well as cannabis media companies. Freedom Leaf Inc. is a fully-reporting and audited publicly-traded company under the symbol (OTCQB: FRLF). 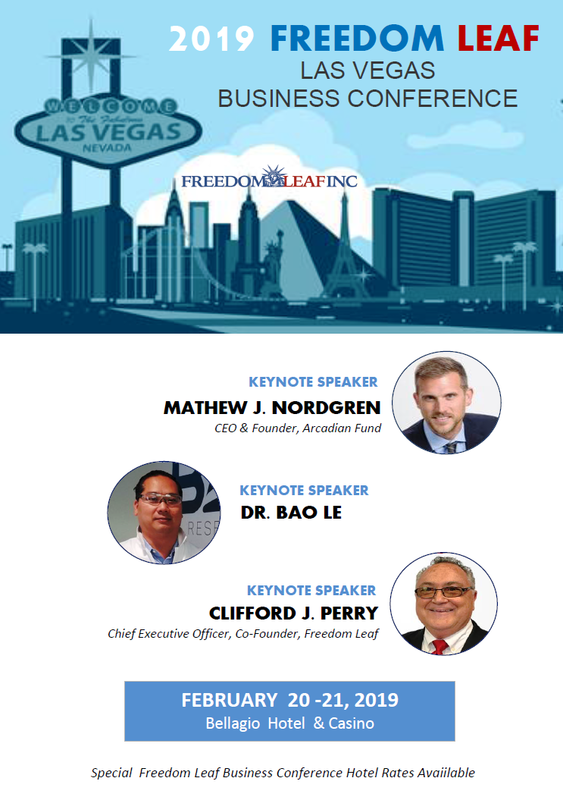 Freedom Leaf Inc. has been a leading go-to resource in the cannabis, medical marijuana and industrial hemp industries since 2014, founded by professionals with over 200 years combined experience in marijuana legalization advocacy. FRLF is building a diverse portfolio of valuable businesses through strategic mergers, acquisitions, and acceleration projects across the industry. Utilizing these mergers and acquisitions, Freedom Leaf Inc. is continually building a solid foundation for our vertically-integrated hemp company to maximize both revenue growth, and net profit, which will increase our shareholders value. Our cultivation and extraction divisions allow FRLF to grow and source our own hemp CBD, which allows dramatically lower production costs for our wholly-owned CBD product lines, thereby generating more revenue for each product sold. We formulate and manufacture the majority of our products in our own in-house formulation centers, also greatly reducing our costs and increasing revenue. In addition, our extensive domestic and international media companies ensure we can continuously direct traffic to our many ecommerce sites and nationwide retail locations. Freedom Leaf Inc. also sells licenses to use the Freedom Leaf brand in different countries and states across the globe. We have entered into three license agreements: for Spain and Portugal, for The Netherlands, and for Southern California. 10/1/ 2018 - Monday - Clifford Parry and Ray Medeiros conference call to discuss Cannabis Marketing Services MCF could provide. 9/25/2018 - Tuesday - Ray Medeiros, Freedom Leaf and Brad Turner, MCF - While attending the State of Cannabis event that was located at the Queen Mary in Long Beach , Brad Turner, CEO Marketing Completion Fund, Inc. was introduced to Raymond Medeiros, Vice President of Business Development and Investor Relations, Freedom Leaf, Inc. by Alan Stone, Managing Director, Wall Street Research to discuss Cannabis Marketing Services MCF could provide. The Freedom Leaf creative team can deliver everything from an ad placement to a full marketing strategy aimed at large-scale engagement campaigns and shareable content. 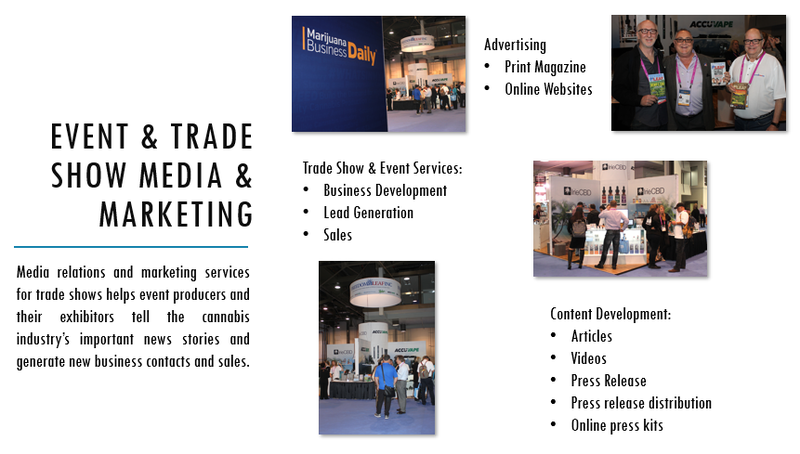 ​We produce a portfolio of news, print and digital multi-media verticals, websites, and web advertising for the ever-changing emerging cannabis, medical marijuana and industrial hemp industries. ​11/16/2018 - During the MJBiz Conference while prospecting for Freedom Leaf advertising clients Brad Turner met Dr. Le in the BAS exhibitor booth for the second time. We suggested along with advertising that MCF could develop content of 3 articles and 3 videos that would cover his personal journey to being in the Cannabis industry, about BAS Research and the products. We offered to develop and media plan for article and content distribution utilizing the Freedom Leaf properties and a overall corporate communications strategy.